Tuesday’s midterm elections weren’t a slam dunk for either party, not by anyone’s estimation. Democrats managed to avoid another apocalyptic election meltdown and keep their base from flipping out by flipping the House, if barely, and Republicans added slightly to their already slight majority in the Senate. We sent at least three Red State fake moderate Kavanaugh thumbs-downers packing and, even better, the GOP ‘squishy caucus’ ranks have been whittled down to Ben Sasse and his imaginary better angel. There’s still Collins and Murkowski, of course, but now President Trump’s judicial nominees aren’t depending on ‘good feelz’ from either to get confirmed. And that’s definitely a good feeling for conservatives. Thankfully, as I wrote last Monday in my then-unwelcome (judging by a few of the comments which basically boiled down to ‘you’re an idiot’ and ‘kill yourself’) ‘silver lining’ prediction piece, all isn’t lost for Republicans or the Trump agenda. Not by a long shot. But alas, Montana, none of this is thanks to you. 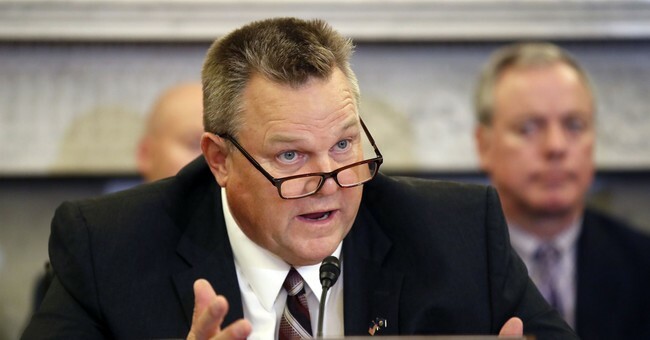 That’s right, instead of helping further the agenda of the person you voted for at a 56 percent clip in 2016, you instead chose to send the massive, flannel-shirt wearing crew-cutted wonder, Democrat Jon Tester, back to the Senate for - wait for it - a THIRD term. How did Tester win? By “poaching Trump voters,” according to the Great Falls Tribune. Except, President Trump told Montana personally no less than four times that Rosendale was the guy. Sadly, to little avail. Sure, there are plenty of other states that send people they shouldn’t - whether it’s ideology or character issues - to represent them. Trump-loving Tennessee had Bob Corker, but we fixed that this time around. New Jersey spurned a solid Republican candidate to re-elect Bob Menendez after he narrowly escaped prison. But sadly, New Jersey gets a pass. They, like the entire Northeast, are inundated with crazy liberals who would elect a stuffed animal with a D attached to it. Yes, I know liberals moving to Montana from California is a thing, but given the numbers above that’s no excuse, not yet. You did this to yourself, and the rest of us. No, there’s no excuse for this insanity, Montana, and if nobody else is going to tell you I will - You need to get your act together. It’s embarrassing. At least neighboring North Dakota had the good sense to chuck their dead weight. You, you sent all 300 pounds of it back to Washington for another six years. In a political age as divided as ours is, every inch of territory must be retained at all costs. Liberals have the cities and they are making gains in the suburbs. They have the numbers and the promise of more should they succeed in their goal of bringing the entire Third World to our shores. What we have, for now, is Red states, and lots of them. And thanks to the wisdom of our founders each one of those Red states comes with two senators, two bulwarks against liberal tyranny. In the next several election cycles, the House and especially the Executive will be increasingly tougher for Republicans to win and hold, but with the Senate we have a chance. In this political age, there is NO EXCUSE whatsoever for a Red state to send a Democratic senator. None. Jon Tester is probably a decent guy, and he isn’t the worst of the Democrats, not by a long shot. But he’s still a Democrat. Which means, like most, he’ll pretend to be ‘bipartisan’ on non-controversial issues like veterans care while stabbing President Trump in the back on tax cuts and judicial nominees. I mean, at least West Virginia’s Joe Manchin voted for Gorsuch and Kavanaugh. Jon Tester? He voted with Chuck Schumer like he usually does. Montanans, you should have known better. You should have been better. Thankfully, there could be a bit of redemption coming in 2020, when you’ll have a chance to re-elect your lone GOP senator. But as far as 2018 is concerned, Montana, thanks for nothing!